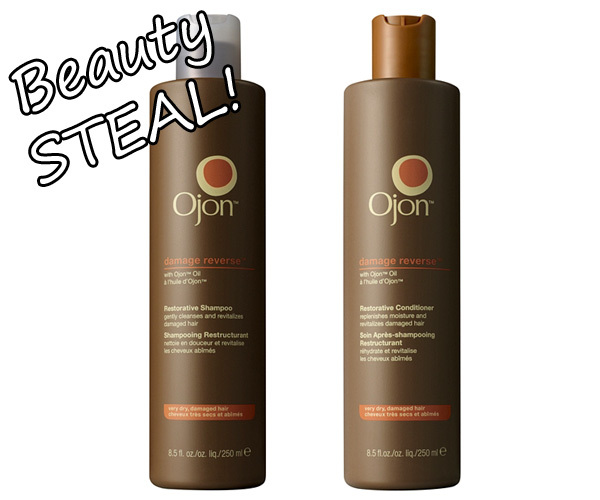 Freebie Alert: Trade in your empties for a FREE Ojon Shampoo & Conditioner! Luxury Haircare brand Ojon are offering a rather hair-raising product amnesty deal. On the 29th September, for one day only (and while stocks last), venture instore at your local John Lewis where Ojon are offering customers the chance to take home a full sized Damage Reverse Shampoo and a full sized Damage Reverse Conditioner by simply trading in any empty shampoo or conditioner bottle, no purchase necessary*. Yeah, I had to read it more than once too. The Ojon Damage Reverse Shampoo and Conditioner is formulated with Ojon™ Oil and is designed to hydrate extremely dry, damaged hair and helps strengthen it to protect from future breakage. Just what we need as the seasons change and we gradually enter the big freeze! I’ve got my empty bottle of shampoo ready, now… where’s my elbow sharpener, ‘cos I predict this might be a wee bit popular. If you’re keen to take advantage, I suggest you get to your local John Lewis store early. * one per customer – don’t be GREEDY! Stockist list is available here. What do you think? I didn’t get to go, but really want to try Ojon but reviews are highly mixed! How addicted to beauty are YOU? Blogging, Social Media Agencies and Aspirations. A rant.